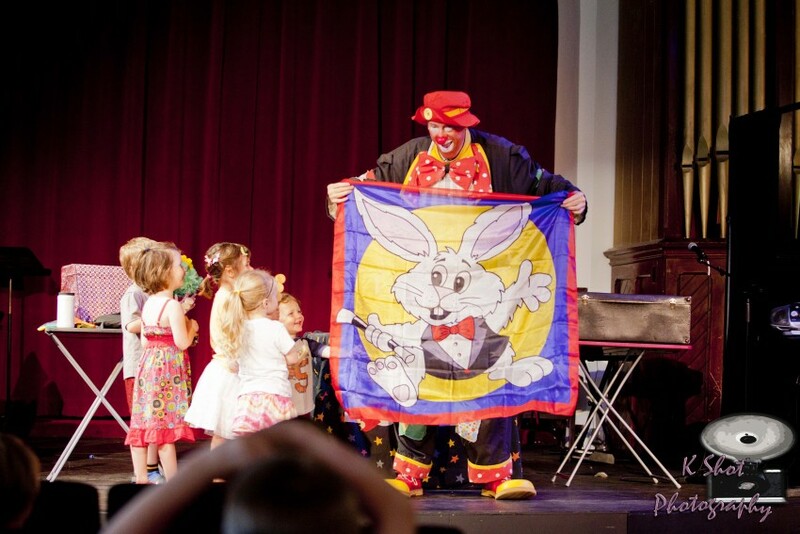 Available as a clown or magician, Bowey is an award winning family entertainer that has been delighting Kids of all ages with his comical blend of hilarious magic, ventriloquism and awesome balloon art. Bowey started performing at the age of nine years old. He is a professionally trained actor, a graduate of the American academy of Dramatic Arts. Bowey entertains throughout Western Ma. and surrounding states. He has performed with Rafi and Pete Seger and thousands of birthday parties. Bowey is the entertainer that the kids always want to see again! 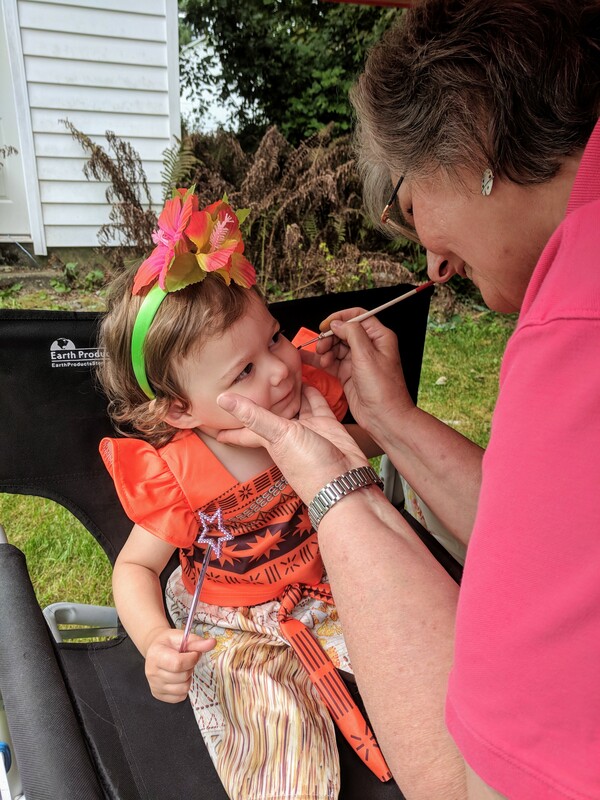 Also available: Wonderful Face Painting by Magic Brushes. Bowey was awesome!!! Had all the children laughing and taking part in his show. Even the adults laughed and loved his show. He is great with children. Would highly recommend him. He stayed till every child had a balloon. His balloon twisting was great. 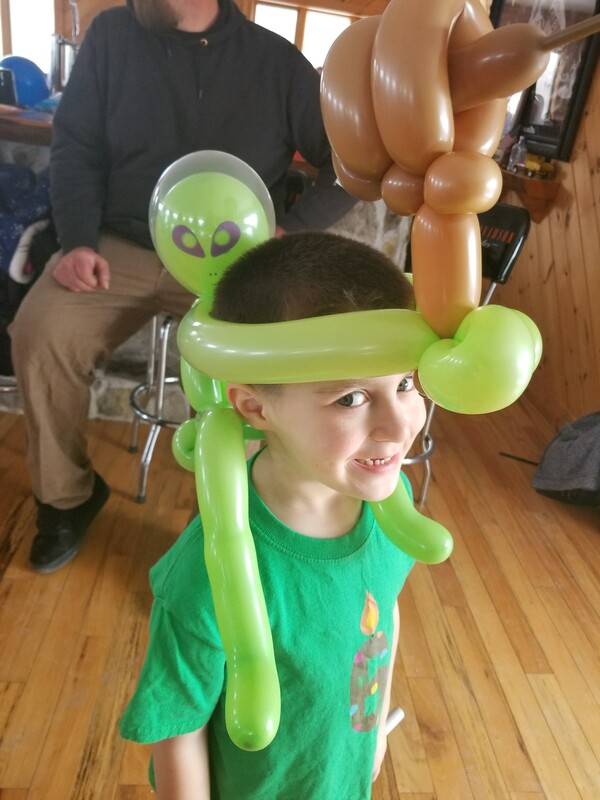 He used a couple different balloons. Every one he made was very creative. 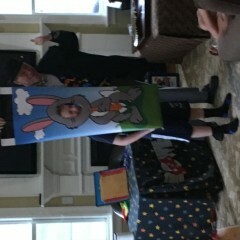 He was much better than last years magician/balloon twister. This show was for a children’s Christmas party, ages 10 and under. 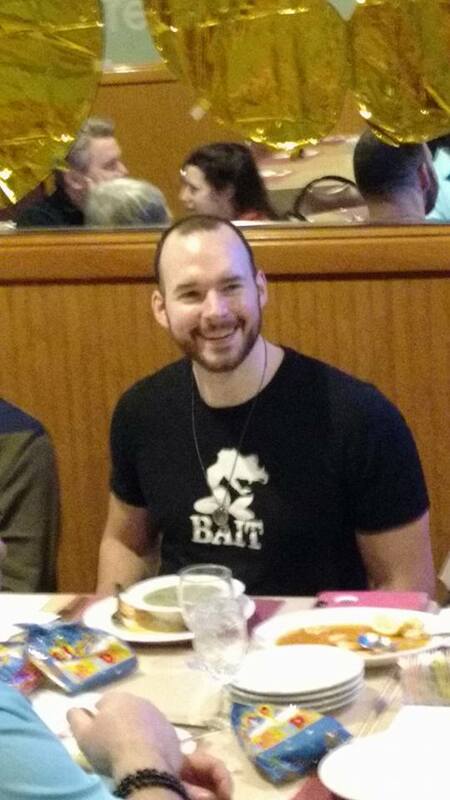 I am glad everyone had as much fun as I did! This birthday party will go down as the iconic kids party by which all others are measured. Bowey hit all the bases: comedy, magic, balloon art... all fantastically executed. He was terrific, and kept the kids (and me) entertained throughout the event. 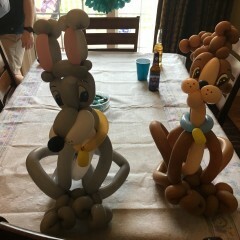 His balloon creations were great, especially the one he did for the birthday girl. 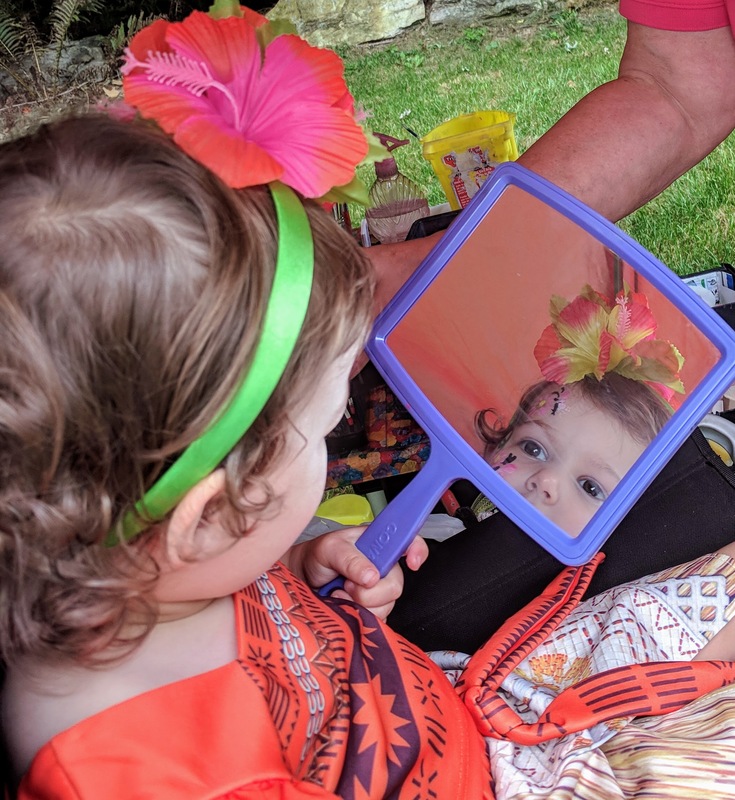 This was my daughter's sixth birthday, and I wholeheartedly recommend Bowey if you're looking for someone to entertain that age group. Thank you for your kind words. I am so pleased everyone had a fun time! Fave part of the party! All the kids attending the party voted Bowey as their favorite part! 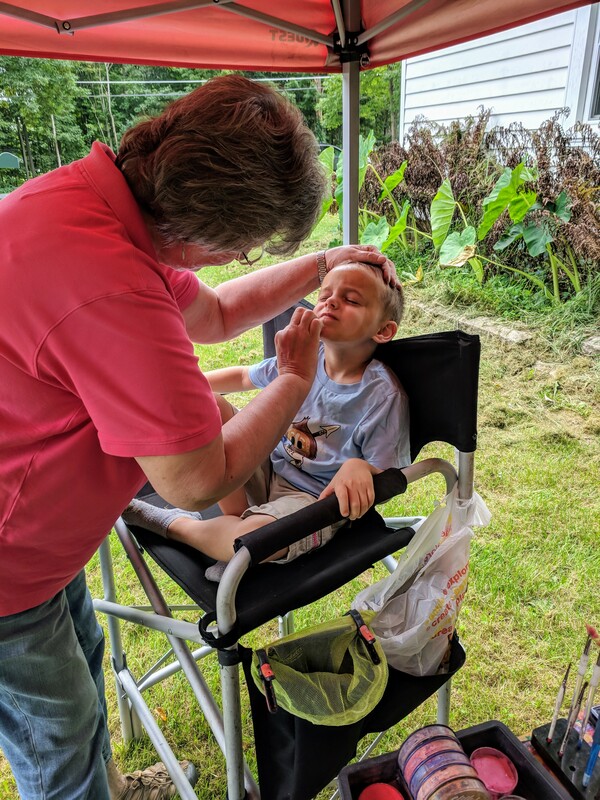 We even had a bouncy house and face painter... All things were enjoyed, however, the kids were fascinated with Bowey The Magic Clown for over an hour while the bouncy castle sat empty. It was for my daughter's 5th birthday and we invited her classmates along with the next 2 grades of kids. Some had older siblings and all were laughing, surprised, concerned, sympathetic... He hit the mark with it all. And the parents were engaged! It's very hands in and very engaging with the kids with a lot of participation. 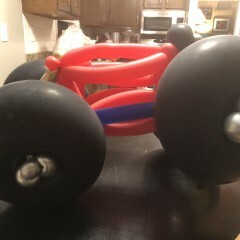 He makes fantastic balloons and has a great skit! He even made her 2 favorite characters "Elsa" from Frozen and Paw Patrol's Dalmatian "Marshall"... A must have for every party here on out! Thank you for Having me entertain for your party. I am so happy everyone enjoyed the show! Bowey was amazing with the kids, and my daughter said it was the best birthday ever!! Thanks, Bowey. Highly recommended. Thank you Chanel. 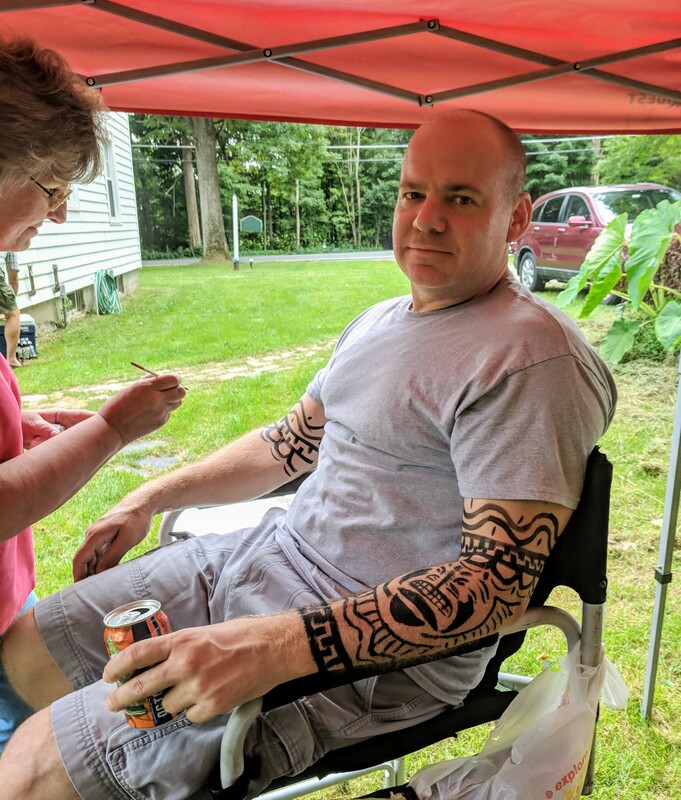 I had a lot of fun entertaining at your party! Bowey entertained the children for hours. 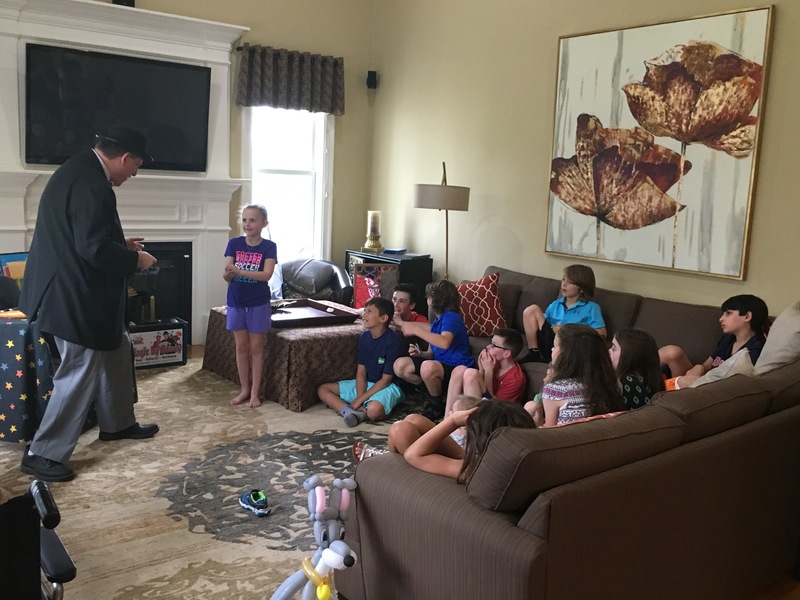 The excitement, laughter and participation from each child was the result of his entertaining style and talent. He made balloons for each child. All the children left the party with a big smile. 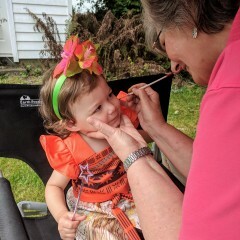 Thank you Linda, so glad I was able to add fun to a great party! 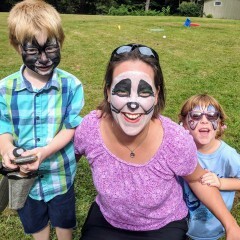 Fabulous face painting was fun for the whole family!! 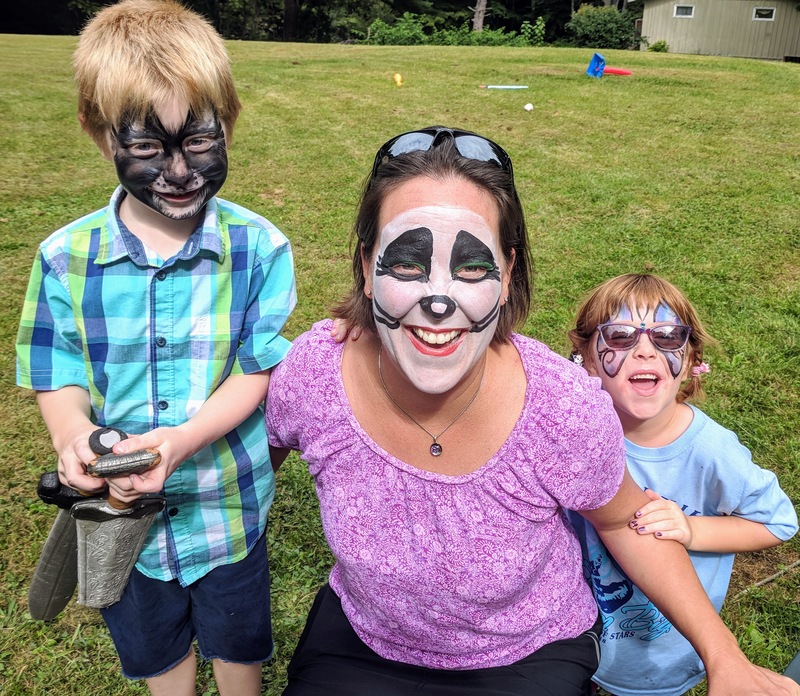 We adored Kim and loved having her at our twins' family birthday party. 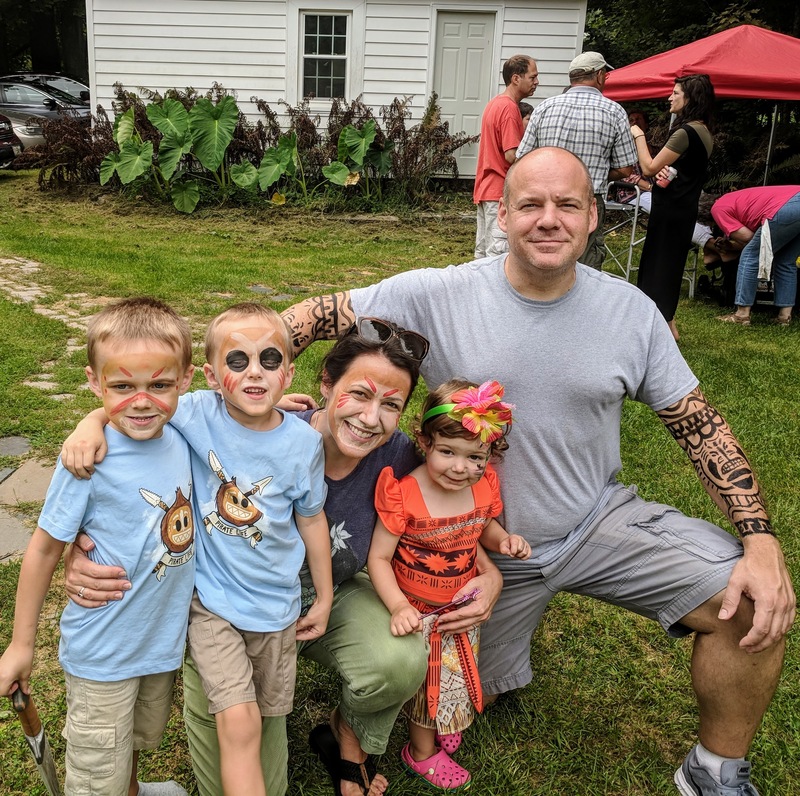 The face painting was a perfect activity - especially for a Moana "Kakamora"-themed party. 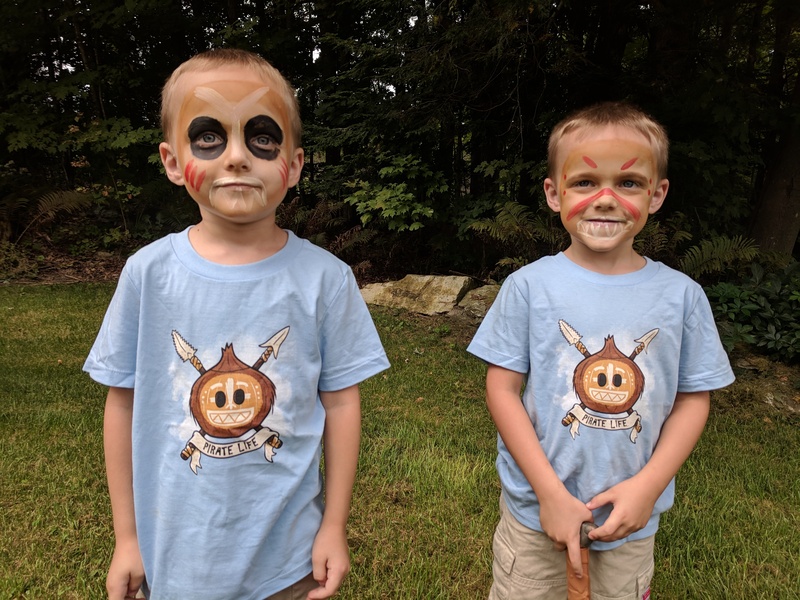 Kim faithfully recreated Kakamora faces for my five-year-old sons (and Mama!) 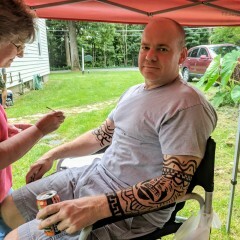 and my husband and dad got into the mix with some elaborate Maui-style tattoos for their arms. In addition, she did a wonderful job with the cats, butterflies and, yes, even some Fortnite tattoos. She did it all! She even stayed until after her time was up to fulfill some late-party requests. (Next time I'll remember that it sometimes takes guests a little extra time to work up their nerve.) ;) Highly recommend Kim! Wow, thanks for sharing these great photos. So glad everyone had fun at the party! “Can Captain Kraw come to my next birthday? !” - Birthday Girl. 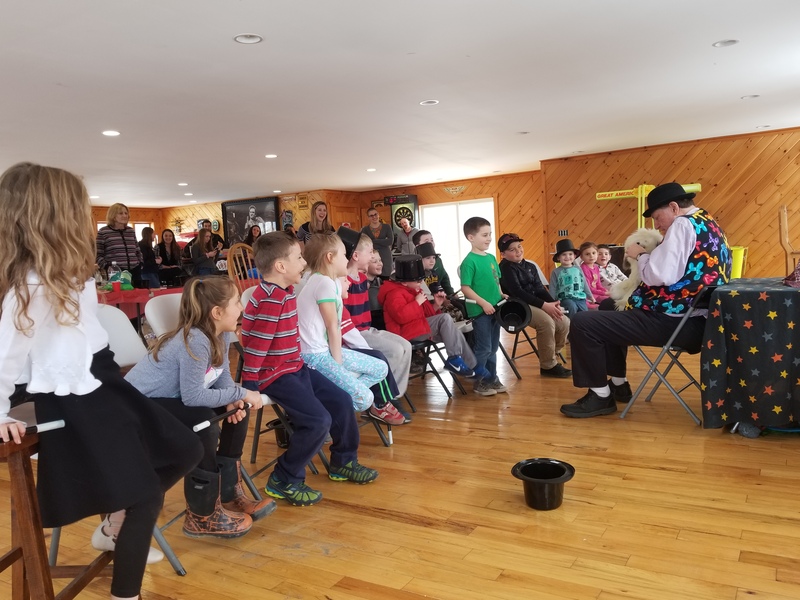 The show was entertaining and all the kids enjoyed it. Captain K and Bowey were professional, punctual, and great at checking in as the party day approached. So glad everyone had fun! Thank you very much! 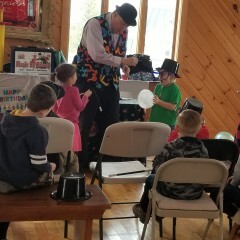 Bowey (Bruce) had done a magic act and then balloon making for our campground. The kids loved him. He had them helping and in aahh the whole time. Even some of the teenagers got involved (as much as typical teenage would). The adults were able to just sit back and laugh with their children. I would definitely recommend him to anyone looking for a fun acct!!! Bruce Bowey was fantastic! !He either comes as a magician or a clown. We requested the magician. He had 15 toddlers well behaved, entertained and spent so much time with them. 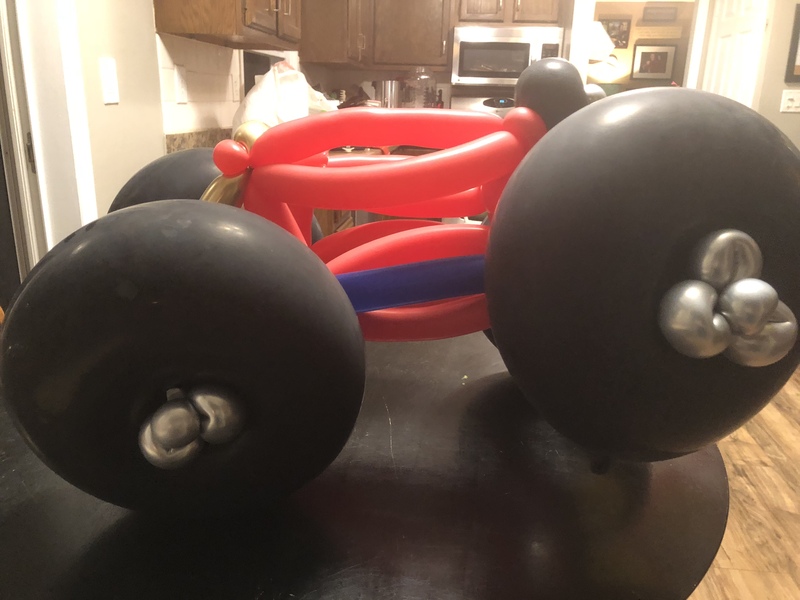 We got the balloon package and what an amazing job he did! He made my one son Sophia the First and my little guy a truck Well worth it!! He spent so much time with them. So patient he was!! The kids and adults loved him!! Thank you so much!! 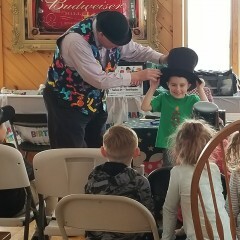 Bowey provided a magic show for about 20 5 year olds at my daughter's birthday party. He kept them all entertained for a full hour. They loved it! 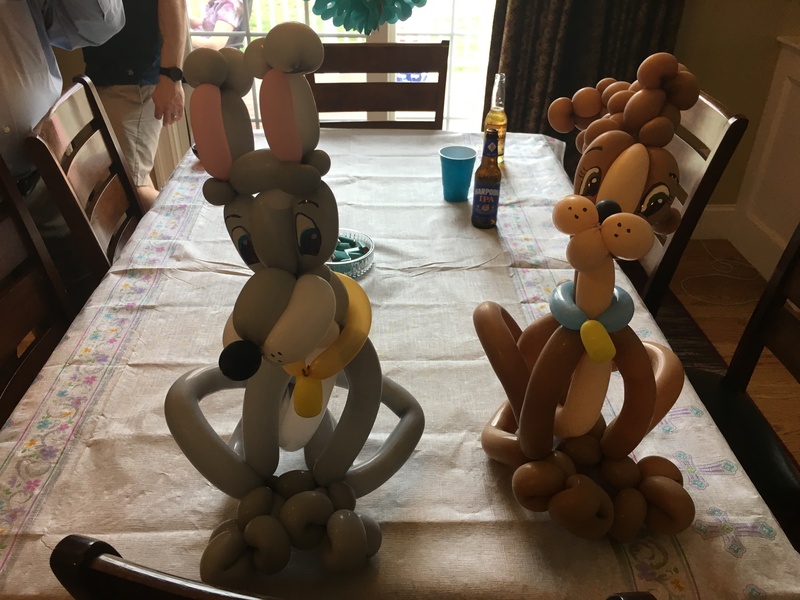 And then he made a unique balloon creation for each child! I would definitely recommend him!!! Thanks for having me entertain at the party. I am so happy everyone had fun. Kept the kids engaged and entertained throughout his entire performance. 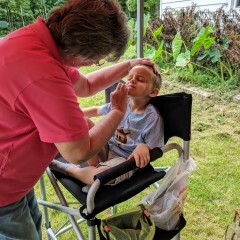 Thank you, we are so happy the kids had fun! Friendly, funny, entertaining, Bruce was a hit! Bruce came to my sons 6th birthday party this weekend and I couldn't be happier! The kids were very engaged in his act, smiling and laughing the whole time. At the end each kid got a very impressive balloon animal, wand, light saber etc. I would wholeheartedly recommend booking Bowey for your party! Bruce was awesome everyone enjoyed him. The ballon art was awesomely done!! Thank you! I was so glad to be there for your party! 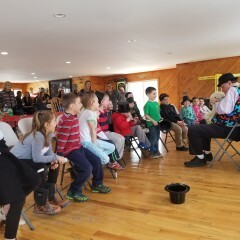 Was a great entertainer the kids were fascinated and spellbound. They loved the balloons and they were really creative pieces each one so unique. Thank you for your kind words. I enjoyed entertaining at your event. Bowey was excellent with the kids! My son had a great birthday thanks to Bowey! 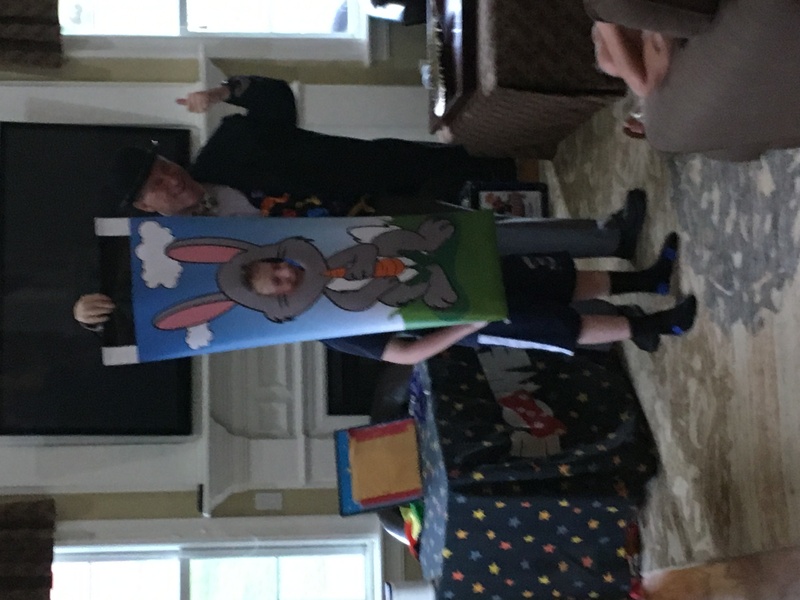 We hired bowey and everyone had a great time he kept the kids laughing and entertained the whole time !We would recommend him for other parties for sure. Thank you so much, fun party! 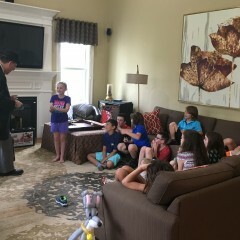 Bowey kept a room of 5 year-olds entertained for an hour with his magic. He was able to manage a couple of unruly moments with a the kids with ease and spent time making balloon animals for them after his show. 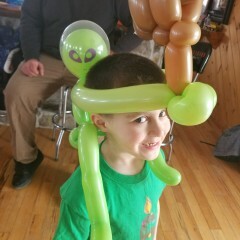 He's a very talented balloon artist, arriving with a very detailed ninja for my son. Thank you, so glad everyone enjoyed the show. Myself & my guests cannot stop talking about how great & engaging Bruce Bowey the magician was. Thank you for a great show. My girls & all the party guests where laughing, smiling and wanting more at the end. Will definitely be using your services again. What a great, clean, friendly, funny and outstanding showman! Thank you, Glad everyone had fun! Great entertainer; kids loved him! We had Bowey perform at our school for a recruitment event as a magician. He arrived early to set up, and was very flexible in meeting our needs. We needed to do quick rotations, so he was able to do 6 - 15 minute presentations and the kids loved every minute of it. He is very professional and we will book him again in the future! Thank you Ashley, I am so glad everyone had fun! Tailored the show to the age of the kids in attendance. The children were mesmerized. HIGHLY recommend! Thank you, Mary. It wa a lot of fun entertaining for you family's party! Bowey helped to celebrate my husband's retirement from the fire department. It was a big surprise and a hit amongst the crew. Thank you so much for making the day memorable. Thank you! I was so pleased to be there. Kim was lovely! Will work with her again! Loved Kim she was prompt and the children loved her!! Thank You for having us. 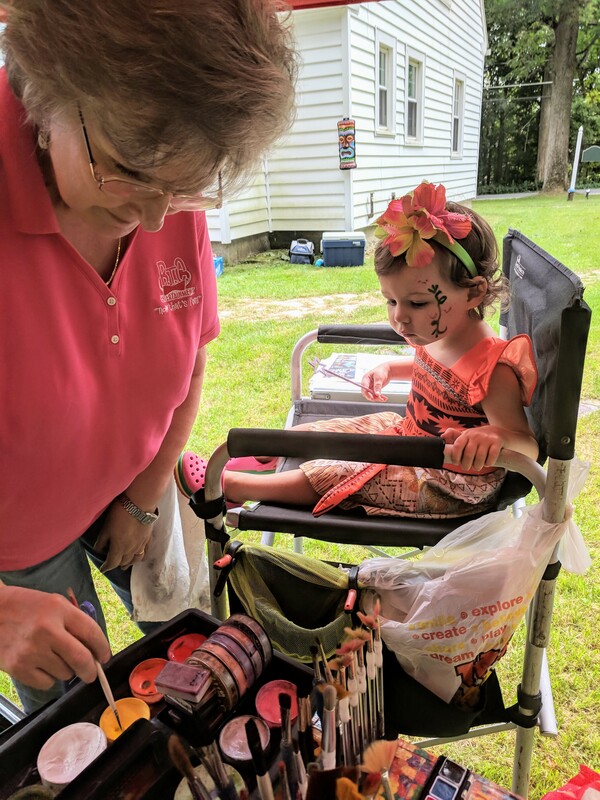 You hosted a great community event! Thanks Lenny, It was fun! Thank you very much, it was a fun party! He was wonderful. The kids loved him. Bowey is an excellent flow to have at events. The kids loved him. Thank you! I am so glad everyone had fun. Bowey was the hit of our party! 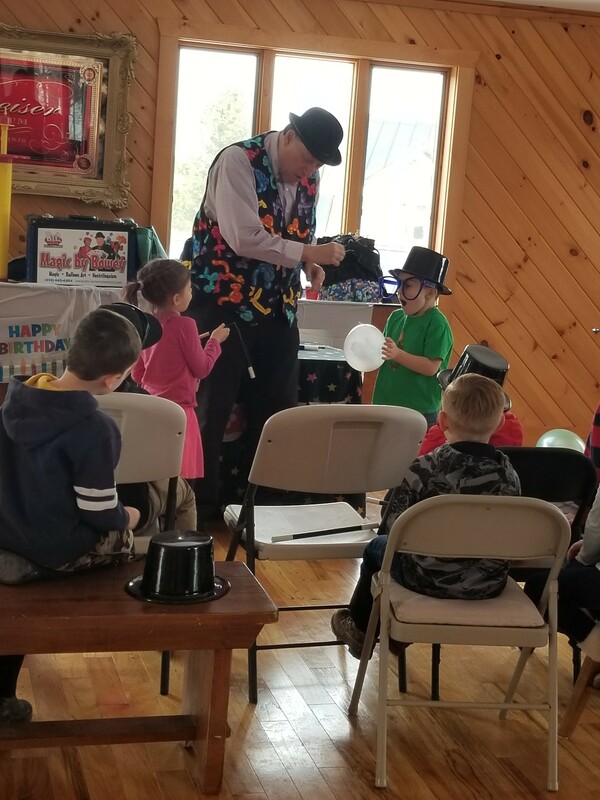 Bowey went above and beyond to make sure every child was entertained throughout the magic show. Non-stop smiles and laughs the entire time. The balloons are amazing!!!! We look forward to booking him again! We got Bowey for our daughters 5th bday party and he was a hit!! All the kids had a blast! They were engaged and laughing all the time while Bowey was performing.! I will get him again for sure!! Than you for your kindness. I am so happy everyone had fun! We never saw somebody who can make a bunch 5 year old laugh continuously and entertained for the entire show. 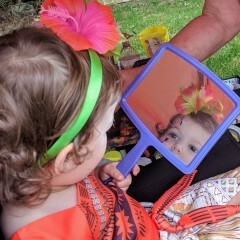 My daughter truly enjoyed her 5 year old birthday party with Bruce, so did her friends. They thought it was fun and magical, and they were very engaged. Bruce is really multi-talented, a magician, a comedian, a puppet show with some ventriloquist tricks. Definitely a great show for a young child birthday party. We love his show and professionalism. My party consisted of 6-7 yr olds and they all had a really fun time!!! Bowey was very accommodating, having overbooked for that day, I had him come a couple of hours earlier and he came early to make balloon animals for the kids that were already there before he started the show. Would definitely recommend him for your next kid's party! Thank You! I am so glad everyone had a fun time. 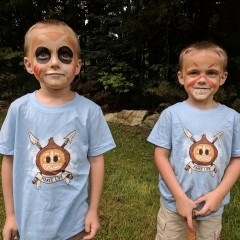 We held a joint party for a 2 and 7 year old and had kids ranging from 2 through 8. Everything was great! The kids were so entertained (and most of the adults too)! There was tons of laughing. Would highly recommend! Thank you for having me entertain at your party. I am so glad everyone that fun! Bowey the Clown did an incredible job at my son's birthday party on 01/07/17. 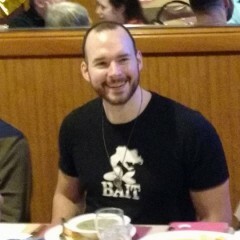 It was a total surprise for my son and the party was a huge success. The look on Chris' face when Bowey entered the room was priceless. Everyone found their inner child and enjoyed the performance. 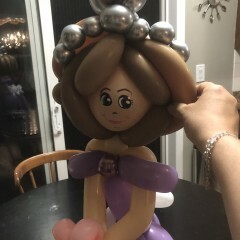 The balloon art was awesome! Bowey was a true professional and I would recommend him for anyone. I will definitely utilize his services again! Terrific, wonderful, funny! I can't say enough! Don't be hesitant, hire (book) Bowey! He is a one-of-a kind act! Thank-you so much Bowey!! Thank yo so much! I am glad you had a good time. You are a fun family. Bowey was a hit! The children were mesmerized. My daughter was so happy with the show , and the fabulous baloons he made. Bowey will be at our next event and we are referring him to everyone we know. We have had nothing but great compliments from our guests. I am so glad everyone had fun! Thank you very much. Thank you Bowey the Clown for a stellar repeat performance for my daughter's 9th bday party! 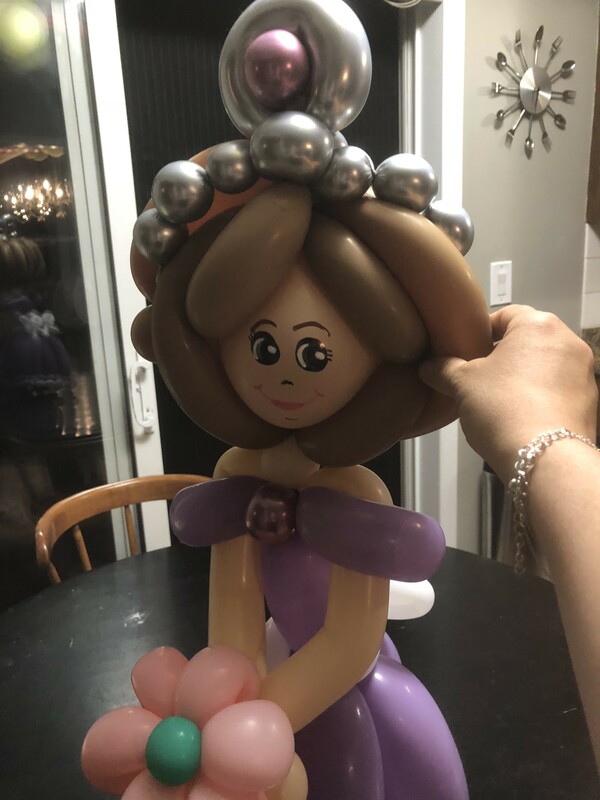 You kept the kids engaged with a great show and your balloon art was a hit, especially the ballerina you created just for Gabby to compliment her Dance party theme! Bowey you are the best and I'm sure you'll be getting more request from other parents that were impressed by your work! Thanks again...Your friends, The White Family! Bowe did a great job with the kids. They all had a wonderful time! 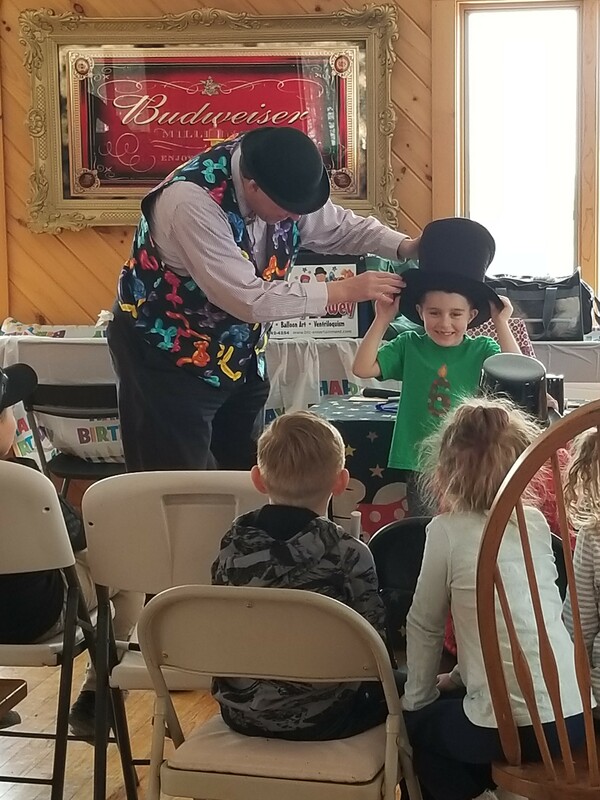 Bowey the Clown performed at my son Kyle's 5th Birthday party. My son was Thrilled! Everyone kept coming up and asking me where I found Bowey becauce he was such a great performer. 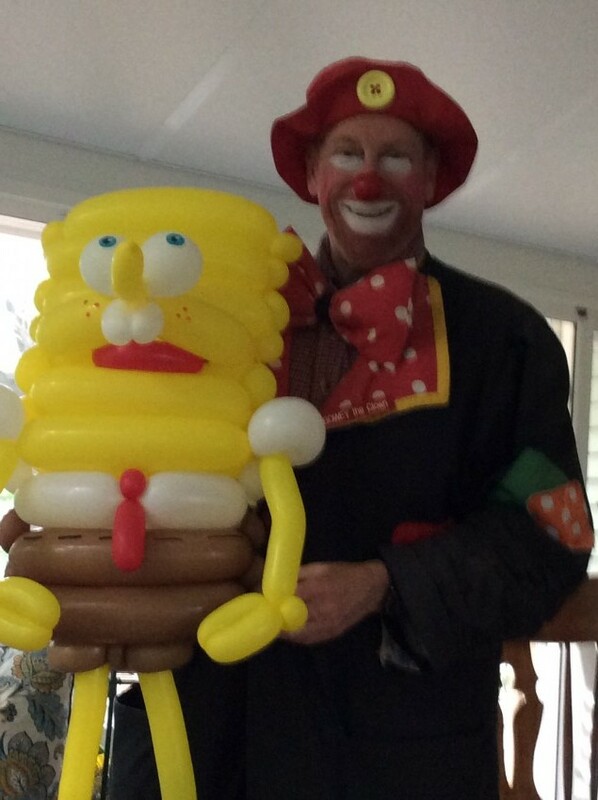 I highly recemmend Bowey the Clown for your next party or special event. Dennis S.
Price Range: Please contact for rates. 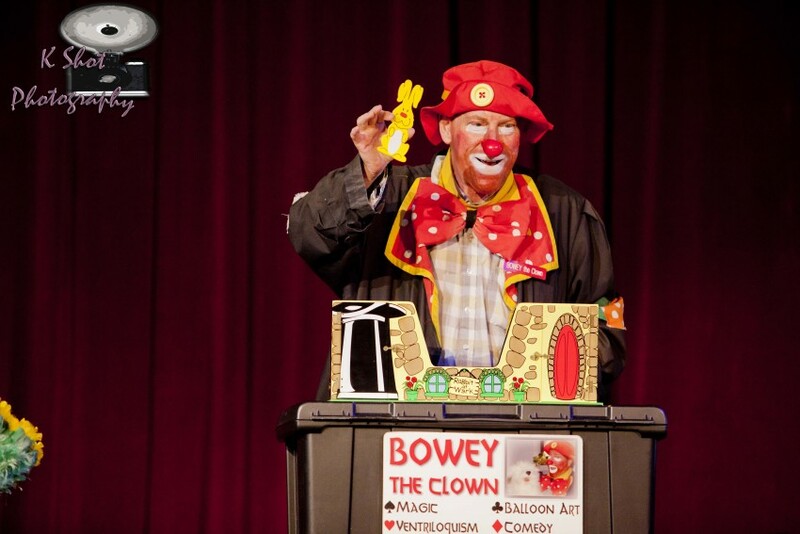 The Bowey the clown show is a faced paced interactive very funny magic show with ventriloquism and awesome balloon art. 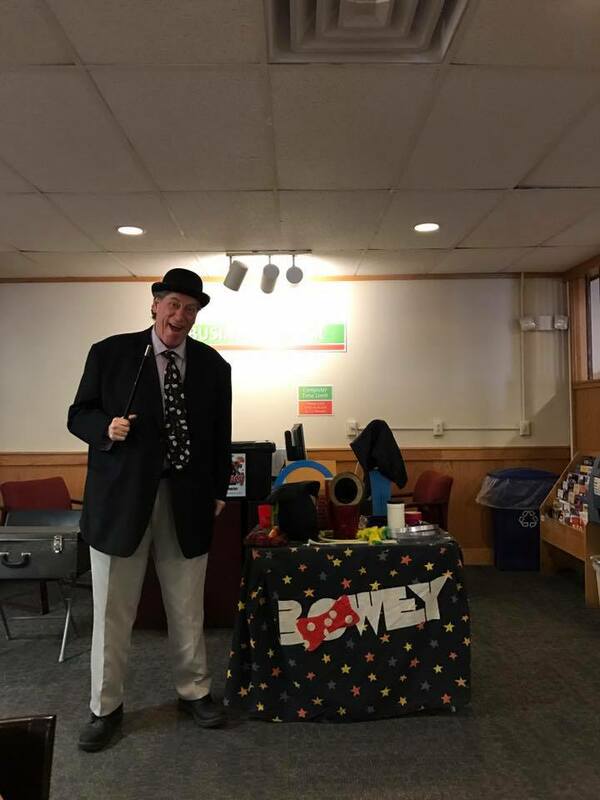 Bowey also provides a walk a round format, strolling your event with very funny magic tricks and clown gags and creating award wining balloon art. 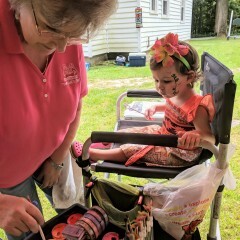 wonderful face painting, princess and pirate parties are also available.